Bertsch Mississippi: The Bertsch Mississippi Log Cabin is a stunning building. The large room features a segmental arched double door and 2 x matching windows. This log cabin is perfect for all lifestyles and very many different uses. The Log Cabins also have the benefit of a 2 meter veranda and terrace really maximizing the buildings use all year round. 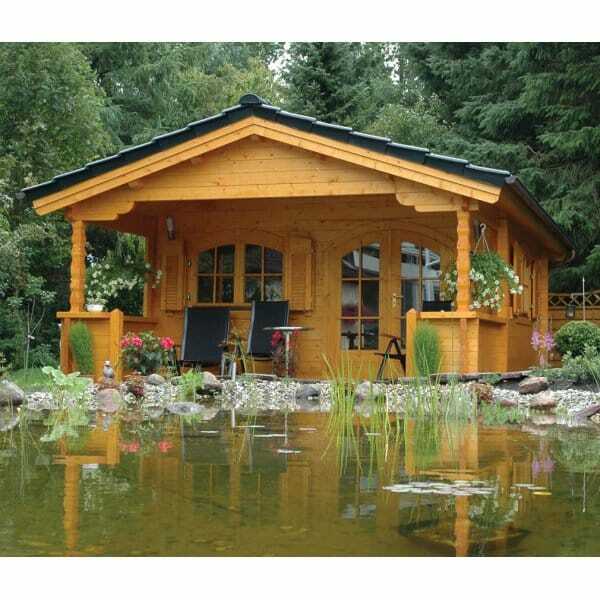 Bertsch log cabins and timber buildings are made to order using only the best materials and producing beautiful buildings of the highest standard.